You need to login to your vooPlayer account first. 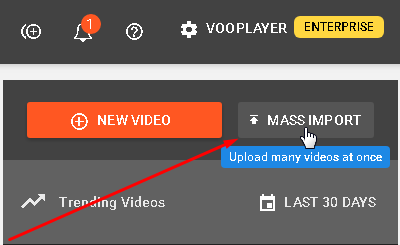 Click on MASS IMPORT button. 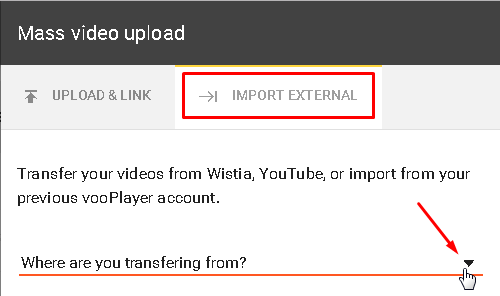 Then select the tab IMPORT EXTERNAL and choose Wistia. 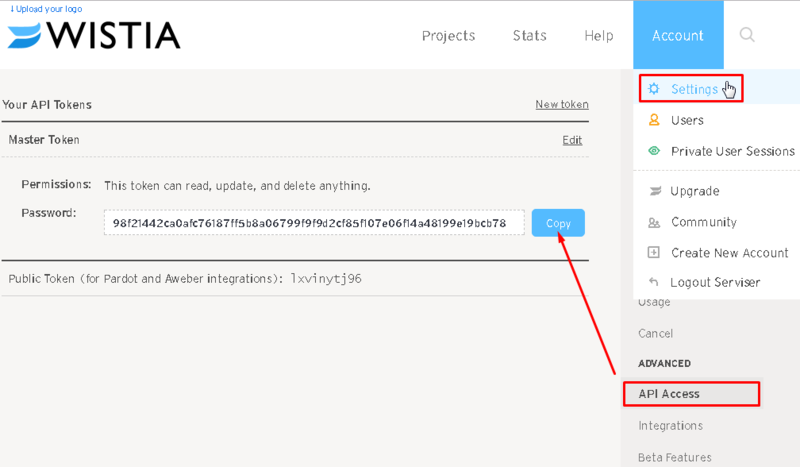 Furthermore, you will have to paste your special Wistia API password. To find yours, you can just login to your Wistia account and under menu Account, choose Settings then click on API Access to locate it. 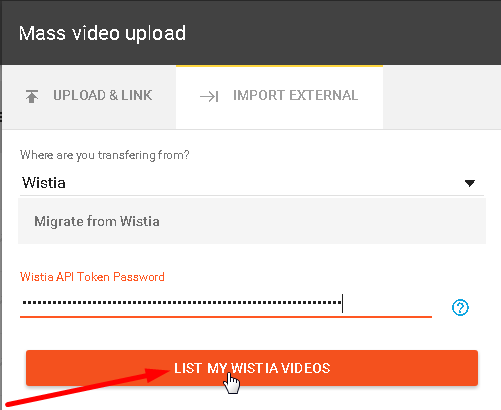 Now, paste the API Token and click on the button LIST MY WISTIA VIDEOS. The final step is to select desired videos for migration and click MIGRATE VIDEOS. 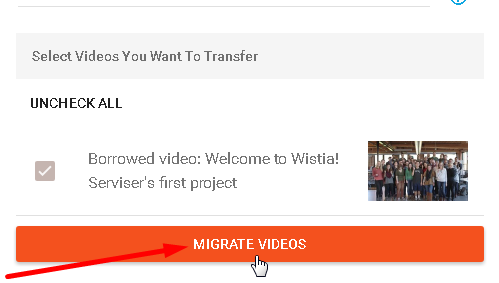 After a few minutes, all your videos are transferred from Wistia to your vooPlayer account, so you can cancel your subscription to Wistia. For any further questions, you can contact our support team.